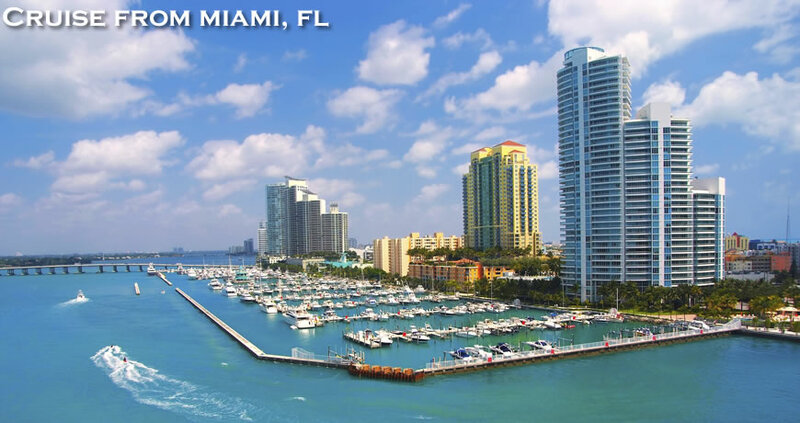 The Port of Miami is one of the busiest in the world, and a home port to almost every major cruise line such as Carnival Cruises, Celebrity Cruises, Crystal, Norwegian Cruise Line, Princess Cruises, Regent and Royal Caribbean. 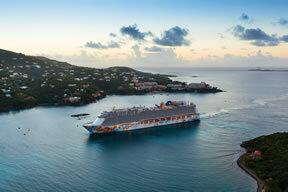 At any point in the year, travelers can embark on a cruise from Miami and travel to the Bahamas and Caribbean islands. If your ship is leaving from Miami and you need to fly into the area there are two convenient airports that service the region so be smart and compare fares. 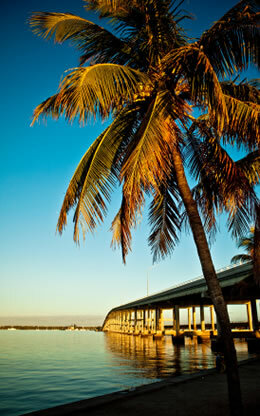 Miami International Airport (MIA) is the closest to the pier, approximately 15 minutes or 7 miles away. Cabs and shuttle service to and from the port is readily available outside the lower level baggage claim area. Taxi fare is a flat rate of $24 for up to four passengers. Ft. Lauderdale-Hollywood International Airport (FLL) is about 28 miles or 45 minutes from the Port of Miami. A cab can run close to $100 depending on traffic. Shared shuttle services are less expensive at $15pp. For those that are driving to the Port of Miami, parking for cruise passengers is available at $20 per day. Payments via credit cards (Master Card or Visa) are only accepted at parking garages #5 & #6. 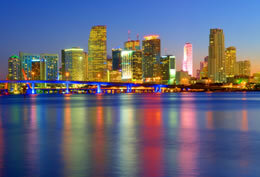 It would be a shame to cruise out of the Port of Miami without spending some time in this exciting, vibrant city! Travel Channel and USA Today have ranked the area’s beaches as some of the best in the entire country. And although its tempting to spread a beach blanket, relax and just soak up the rays, there’s so much more to do in Miami. 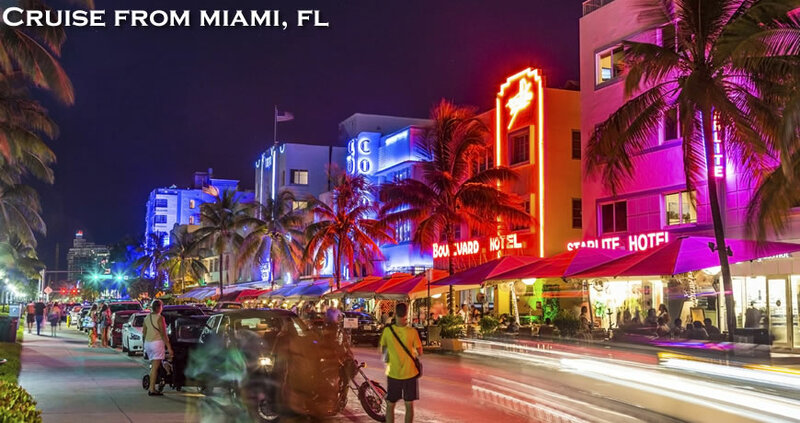 South Beach: Although it is only 17 blocks long and 12 blocks wide, the South Beach district of Miami is known for world-class dining and the hottest club scene in America. The area boasts a large collection of Art Deco architecture built between 1923 and 1943. Wander on your own or take a guided walking tour of the colorful apartments, hotels and other buildings. This distinct style is represented by the use of materials such as stainless steel, aluminum, inlaid wood, and lacquer and styles such as stepped forms, zigzags, and dramatic curves. Everglades National Park: Covering 2500 square miles, this is the third largest National Park in the lower 48 states. Many rare and endangered species call this subtropical wilderness home. The diverse habitat allows nature lovers the opportunity to enjoy birding, hiking, canoe and kayaking, biking, fresh and saltwater fishing, and camping in the ultimate wilderness. Ranger led programs are both informative and fun for all ages. Air Boat Excursions: Several companies in the area offer exciting, air boat tours through the heart of Everglades National Park. Guides will describe the wonders of this unique ecosystem and the native and exotic wildlife that inhabit it. Have your camera ready for photo ops of giant alligators! Monkey Jungle: This establishment started as an animal observation research facility. Today it is one of the few protected habitats for endangered primates in the United States and the only one that the general public can explore. It is home to nearly 400 monkeys that run free on a 30 acre reserve. Humans are limited to cage-like walkways that meander through the quarter. The animals can be fed through baskets attached to the cages. Vizcaya Museum & Gardens: This home turned museum was built as a winter residence for agricultural industrialist James Deering in 1916. Deering was fascinated by 16th-century art and architecture, and his ornate mansion took 1,000 artisans five years to build. The grounds are comprised of a main house, 10 acres of formal gardens, a subtropical forest and an historic village that is currently being restored. It has 34 decorated rooms with 15th through 19th century antique furnishings and art objects. 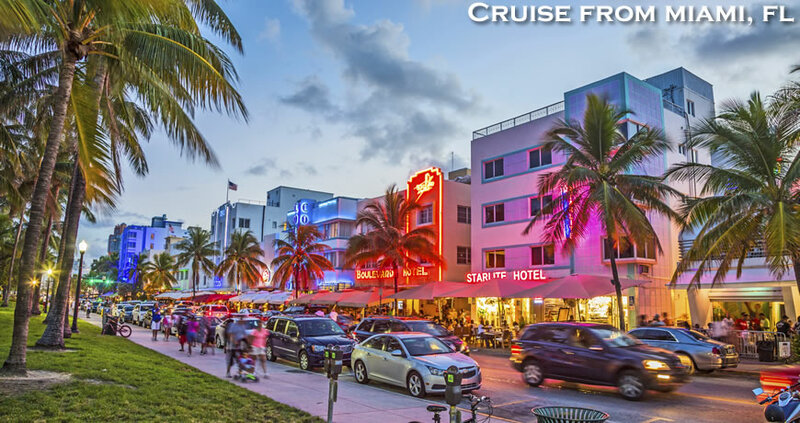 For more information on Miami cruises, call Direct Line Cruises at 1-800-352-8088. Parking at Pier: $20.00* per day for cruise passengers. •Take 836 East through the toll plaza. •Exit at US1 NE 2nd Avenue/Biscayne Boulevard. •Turn right on Biscayne Boulevard. •Stay in the left lane. •Turn left on NE 5th Street. •Drive across the bridge and follow the signs to your ship’s location. •Take I-95 south to Exit 3B (NW 8th Street). •Turn left at the end of the exit ramp onto 5th Street. •Continue on 5th Street and drive across the port bridge. •Follow the signs to your ship’s location.